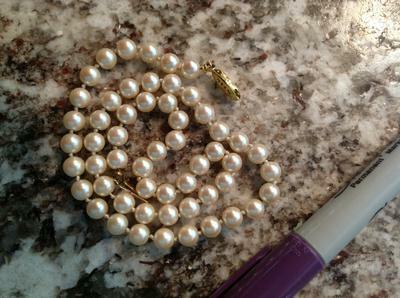 I have these vintage looking pearls, says PAT on clasp. They are on string. I think handed down through the family. Are they real or nice fake pearls, how can one tell the difference?